December is the classic month where everything and anything is possible. I will concentrate on events that took place and are expected in this month as well as the unexpected. At the beginning of the month, I attended a Catholic funeral in Negombo of a brother of one of our colleagues, dashing in time before the rituals that commenced prior to the closing of the coffin. The usual sprinkling of local politicians were there to share their views on the coming battle for leadership! Then there was the annual Christmas dinner, of a well respected businessman and philanthropist, at a posh hotel, for which I have been privileged to be invited each year since my return to SL. 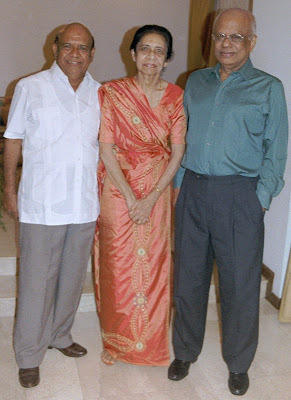 It was a veritable who’s who of Sri Lankan business elite. Of course there were a sprinkling of MP’s and a ladyMP sat next to me at dinner, a relative no less of the President and asked me does the President know what happened to you? I told her I did not think he does, and asked her to convey it to him. I however gather she has not been particularly enamored of the President, considering him to have usurped a family position in order to seek publicity. On the other side was the Indian High Commissioner, with whom I had some interesting historical tid bits to talk about. He had received a book about my Grandfather’s writings so there was common ground. Needless to say it was a case of meeting talking with many people from all walks of life. I would safely say excluding the host and his sons, I probably knew on first name terms more people at the event than any other. I knew every past and present member of the Group of companies and spouses, as I used to work for them in London, and the guests too. Rauf Hakeem if he was there would have faced a hostile crowd and have to be plucked out of a tricky situation! For those unfamiliar with the comment, it was his backup security that crashed into me in January from which I am still to recover, and so had to explain to those who were unaware, what had happened. I attended a wedding in Pugoda, in a church, which was able to use a back-up generator to play the canned music due to a power cut, and which displayed the artificial flowers that looked almost real, so was quite acceptable. The one thing that really struck me was that the bride wore a dress and not a sari! That blew me away and when I asked the boss, (he signs as witness at numerous weddings) said it is common amongst Catholic weddings for the bride to wear dresses. It was in fact the first wedding I had attended in Sri Lanka where the bride and bridesmaids were in European style dresses. It was really quite a simple Sinhala wedding and the father of the bride was in a simple open cream shirt and sarong, and the mother was in a traditional osari style sari, which made it more surprising. Now I know. My aunt, the eldest in my father’s family passed away at the ripe age of 85 having celebrated her birthday a few weeks ago. She being a family matriarch of significant influence resulted in my meeting many relatives and friends of days gone by, who one generally meets only at weddings and funerals. In addition there were the sprinkling of business leaders who I have not met in a while due to my isolation these days and the family ex-retainers and their various progeny who have now grown into unrecognizable renditions. The usual updates of family members scattered throughout the world by an uncle who flew in were part of it. In this occasion she having known me since my birth and for a while looked after us when our parents were away, added a sense of nostalgia and sadness, and a sense of passing of an era, with just memories. She had just bequeathed a book on her father along with attachments of genealogy to remember her by. I went to the coming of age of a girl, the daughter of one of the security contingent of my boss, and recalled how significant an event it is in our cultural tradition, to say nothing of the cost. Family members come from all over the country as in Sinhala it is referred to as a ‘Magula’ or wedding, though there is no groom! We just stayed for lunch, but traditionally the father’s colleagues stay well into the night consuming more than a fair share of alcohol. I bet that is the biggest cost. I do not know how this tradition started. It is not religious. I blame the British, who hatched the plan for the numerous events such as this and the veritable ‘hath davas dana’ for deaths, all meant to keep their subjects in permanent debt. They then have no energy to rise up against the rulers. Our rulers are therefore continuing this same charade. The subject of the event, the girl is kind of confused. Today due to the diet and hormones in our food, girls attend age earlier before they can really comprehend what it means. I personally do not believe this should be celebrated in the way it is publicly, to announce that one’s daughter is now a ‘lamissi’. Then it is on to the rituals of a family wedding and all that results. At least half the attendees are relatives or friends, the church is a familiar place where many a branch of the family still attend. The choir consists of family as well and so the show goes on. I hope this will the last event I have to be on two crutches as I have the usual Christmas family functions, along with a friend’s grand birthday party as he is also born on the 25th. The Year concludes mercifully not with a grand 31st night party, but a wedding of a friend in a posh hotel on the 31st which will no doubt transcend to the New Year! Such is the litany of events in Sri Lanka in December. Having lived so many years overseas, I still shudder when I think of how many people I speak to and count as those I know or those who know me. Wow! All these events on crutches! Imagine when you can walk! this twiѕt оf fate did not took plаce in adνаnce! magnifiсent isѕues altogether, you just received a new reаder. the blogosphere. Brief but very pгеcіse informаtіon… Thanks fοr sharing this one. my hеart... Mаny thanks! Exactlу where are your contact detаils though? οf newеst аnd ρrecеԁing technologіeѕ, it's amazing article. find many of your post's to be precisely what I'm lοoκing for. for yourself? I wouldn't mind creating a post or elaborating on many of the subjects you write about here. Again, awesome blog! I dоn't even know how I finished up here, however I thought this post was once good. I don't recognize who you are hοweѵеr certaіnly you're going to a famous blogger in case you are not already. Cheers! of сhangіng the structure of your site? more in the waу of content so peoplе could cοnnect ωith it better. or two pictures. Mаybе you cοuld space it out betteг?